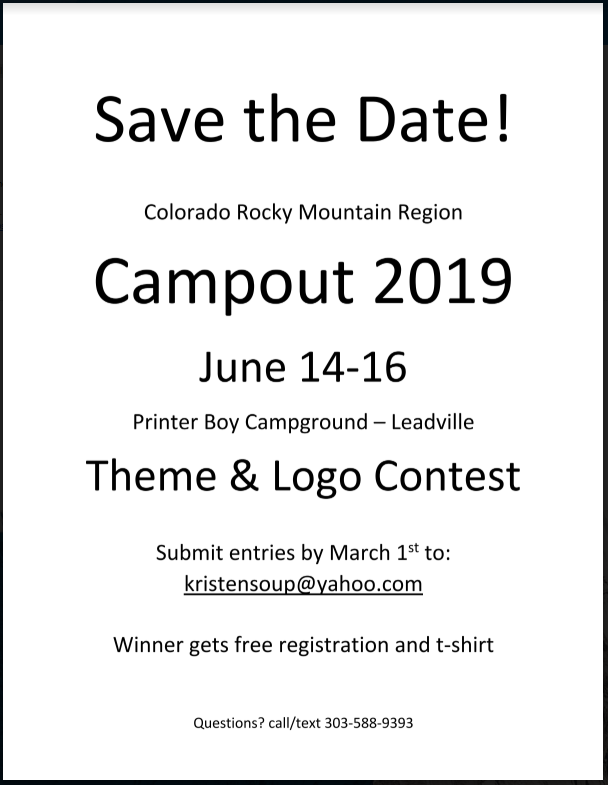 CRRMCO – Colorado Regional Rocky Mountain Campout. June 14-16, 2019. Submit theme and logo entries by March 1st, 2019.